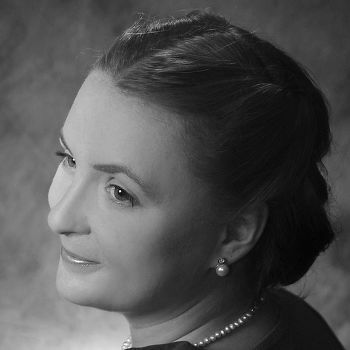 Without the mineral waters there wouldn't be Krynica as we know it today. The status of Krynica as a health resort town is inextricably linked with its Spa-related chapter of history, now over 200 years long. The first resort building was Mały Domek, 'The Little House', a building hosting the first baths since 1804. Three years later the town had been granted a status of a health resort, and was appoited a professional MD. ZDRÓJ GŁÓWNY - 'The Main Spring', pronounced /'zdrooy 'gwuhvneh/ is a 0.32% bicarbonate-calcium and manganese water with a high content of carbonic acid anhydride. It is used in digestive disorders, certain stomach diseases (e.g. rhinitis), as well as anemia and endocrine disorders. SŁOTWINKA - pronounced /swot'feenka/ is a 0.32% bicarbonate-calcium and manganese water with a high content of carbonic acid anhydride. It is used in treating chronic gastrointestinal tract diseases, atherosclerosis, endocrine disorders, urinary disorders, and diseases resulting from magnesium deficiency (e.g. neurosis, stress, etc.). JAN - pronounced /yahn/; the water's name comes from a handman named Jan, who used to bring the water from one nameless spring to patients in therapy. The water is highly carbonated, but less mineralized, with a predominance of calcium bicarbonate. It's highly diuretic, ideal for the treatment of kidney stones and chronic inflammation of the urinary tract, and for the diabetics, as it reduces the blood cholesterol level. ZUBER - pronounced /zoo'behr/; the most unique and therefore valuable of Krynica springs. One of the strongest mineral waters in Europe, highly carbonated, with bicarbonate-calcium, sodium bicarbonate-magnesium and boron. It helps in the treatment of hyperacidity, used for gastrointestinal disorders, mainly in the treatment of ulcers of the stomach and duodenum, liver, biliary tract and diabetes. Alleviates the painful symptoms of alcohol abuse. Its name comes from Rudolf Zuber, a renowned 19th century Polish geologist. JÓZEF - pronounced /yoo'zeph/; highly carbonated mineral water with bicarbonate-calcium component. Intensively diuretic. Used to treat diseases of the urinary tract and kidney, as well as in certain diseases of the digestive tract, and anemia. MIECZYSŁAW - pronounced /meeah'tshih-swahf/; highly carbonated mineral water with bicarbonate-calcium component. Used for diseases of the digestive tract, kidneys, destroy flare and anemia. TADEUSZ - pronounced /tah'daeush/; bicarbonate-calcium type, with a high content of iron. Used in stomach hyperacidity, small intestine disorders, ulcerative colitis, anemia, as well as in certain allergic gastrointestinal diseases. KRYNICZANKA - pronounced /kryh-nee'tshan-kah/; a commercially available water, made of demineralised Zdrój Główny water; very tasty and refreshing. 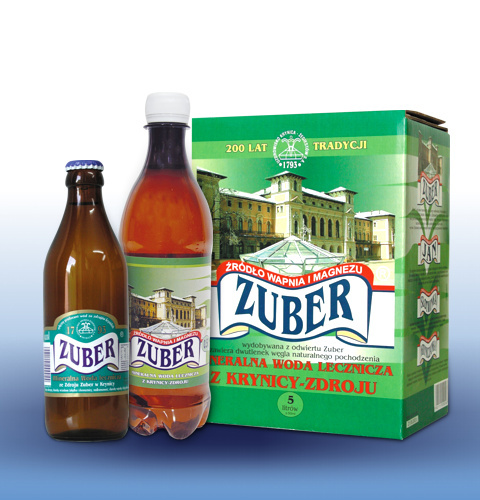 I wish to buy Jan and zuber polish water in the UK. I live near Sheffield. Can anyone recommend where I can buy from. There used to be a polish store downtown Athens with meats, gas, sausages, cheese. I haven't been there in years. Do you know if I can find this zuber water in Athens. Any information is helpful. I have had 6x 5 litre boxes of Jan water sent from Krynica Zdroj. When I am nearing the end of the box, the water becomes brown and I can see the sediments in the bottom of the glass. Is it still safe to drink and swallow this sediment. I have tried that Zuber and it really tastes absolutely awful! However, to be honest it did really help with a bad bout of heartburn I had. Sometimes it is best to dilute it, and definitely do not drink too much of it. There's definitely something in this, as thousands of people swear by it!